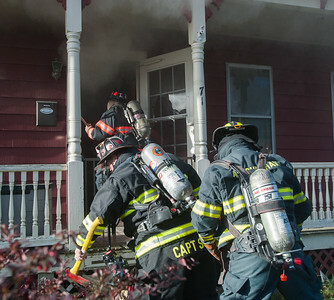 First arriving crews prepare to enter a house on Cottage St with a report of a person trapped. 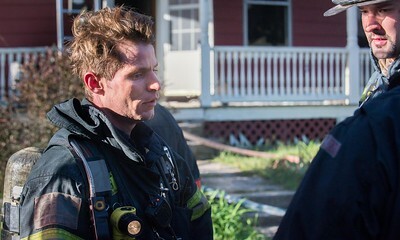 Deputy Chief Dave Gravel (on steps) calls to DC Tad Dateo, on sidewalk. 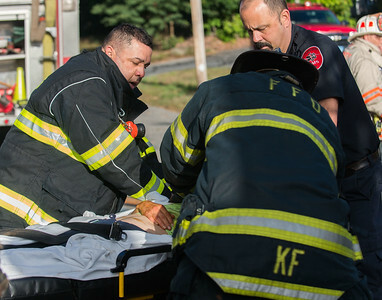 Some Fitchburg crews were on their way back to Central Fire Station when the call came in. 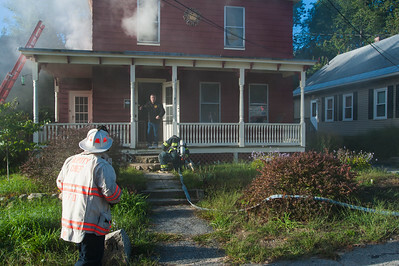 First arriving crews enter a house on Cottage St with a report of a person trapped. 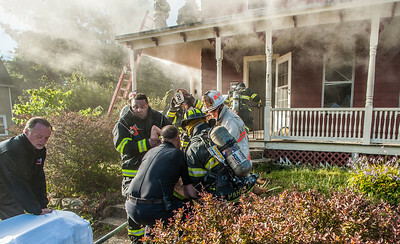 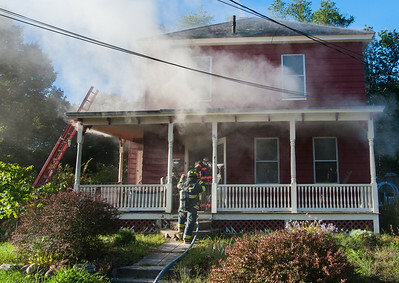 Firefighters and MedStar EMS rush a victim of a Cottage St house fire to a waiting ambulance. 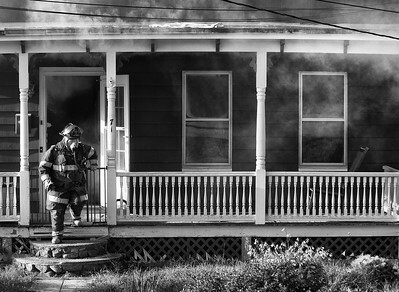 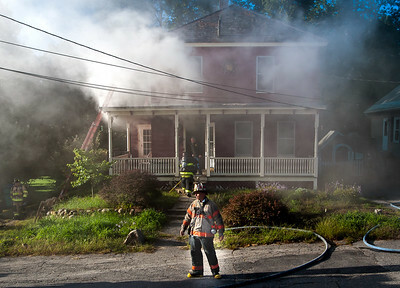 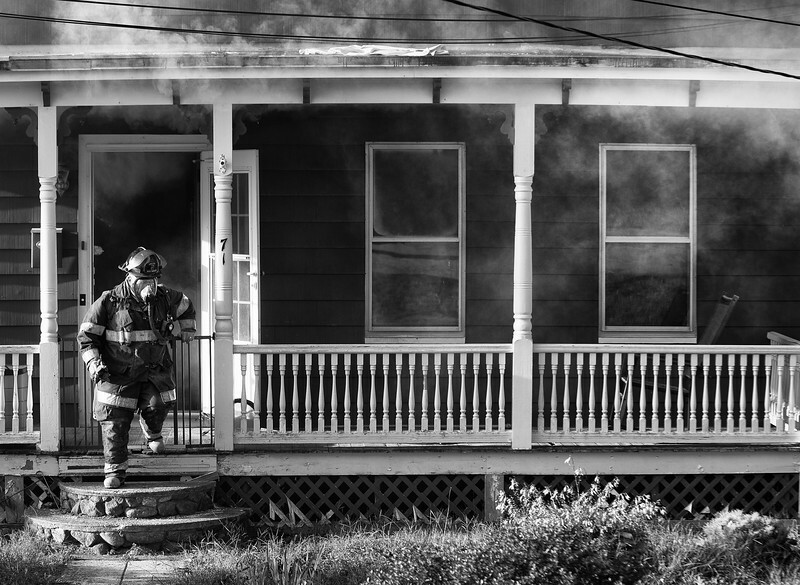 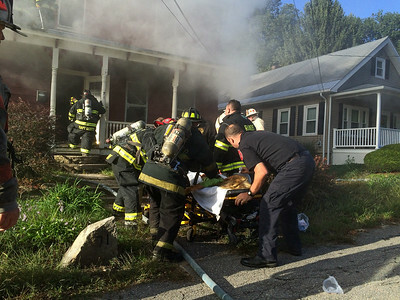 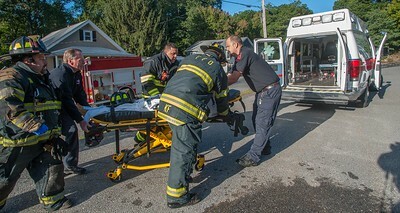 Fitchburg firefighters and MedStar EMS rush a victim of a Cottage St house fire to a waiting ambulance. 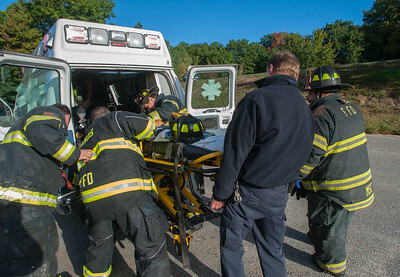 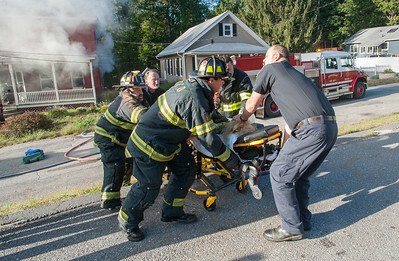 Fitchburg firefighters and MedStar EMS rush a victim of a Cottage St house fire into a waiting ambulance. 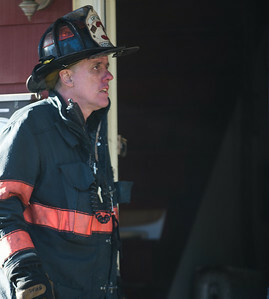 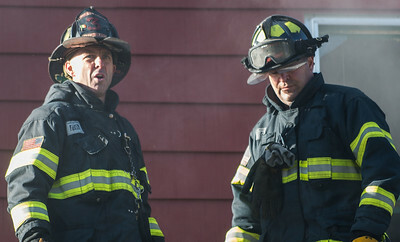 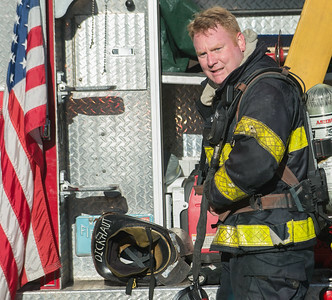 Fitchburg A/Lt Mark Bowers comes out of the building. 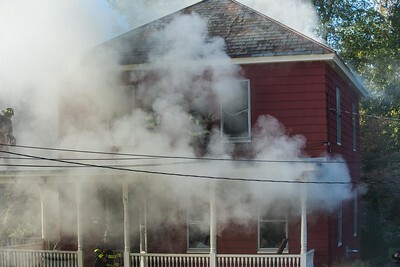 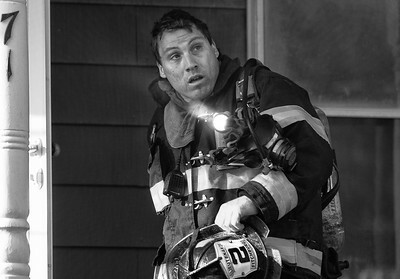 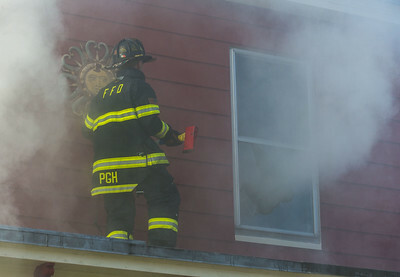 A Fitchburg firefighter prepares to vent a 2nd floor window on Cottage St. 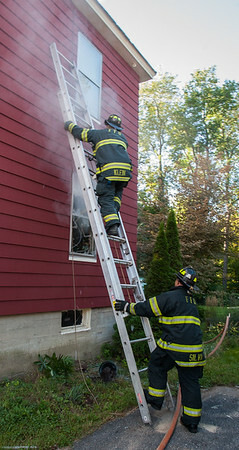 Firefighters vent 2nd floor windows as others inside knock down the fire on Cottage St. 1 victim was rescued by firefighters. 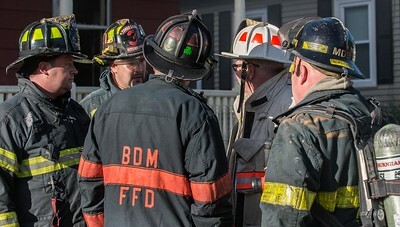 Fitchburg firefighters and MedStar EMS work on a victim rescued from a house fire on Cottage St.
Fitchburg firefighter John Dickhaut comes out of the builidng after a Working Fire on Cottage St.
Fitchburg Deputy Chief Mitch Pinault (white helmet) talks with crews after a Working Fire on Cottage St where 1 victim was rescued from the house.